The ride-sharing app Lyft is constantly rolling out new features and improving their platform. Frequent users of Lyft may easily forget new feature announcements and default to their regular settings. 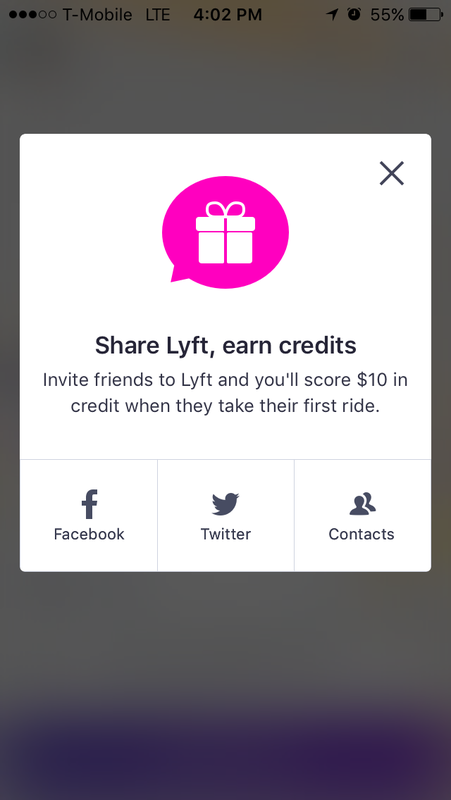 Lyft uses modal windows for feature announcements and subsequent lifecycle nudges. 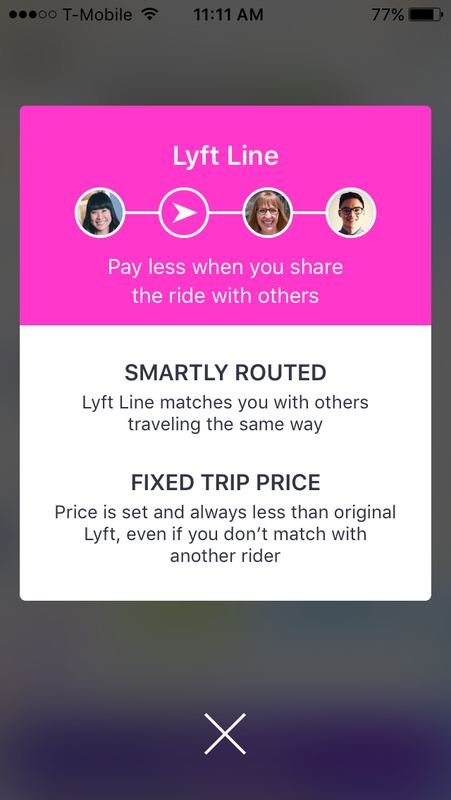 The modal windows reflect Lyft’s branding and create a splash for noteworthy features. 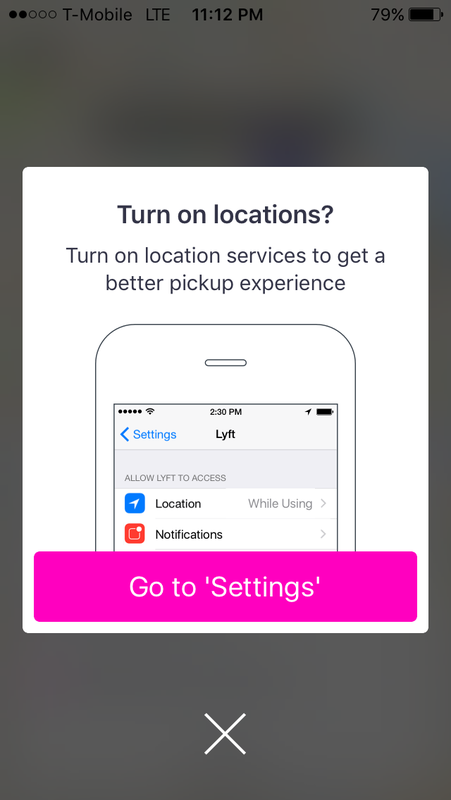 Lyft uses these big modal windows sparingly and avoids disrupting the user experience. The copy on the messages prioritizes customer value.